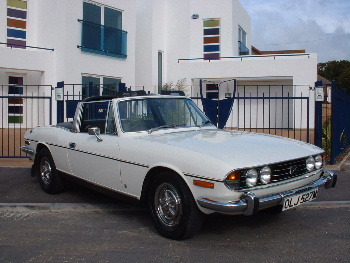 TRIUMPH STAG 3.0 V8 1973-44,000 miles. 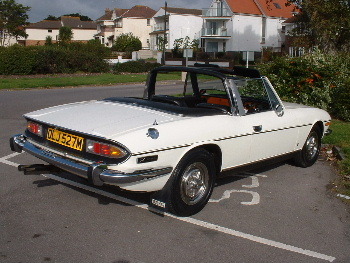 Finished in Alpine White with Matching Black Interior Trim,4-Speed Manual with Overdrive,Stainless Steel Exhausts,Period Radio,Sundym Glass,Hard and Soft Tops,Totally Original Car Having Covered Just 44,000miles From New With 1 Local Owner From New.Supplied with Original Bill of Sale/Ziebart Certificate/Books/Wallet Etc. Choice of 2.